Ships tomorrow if you order in the next 19 hours 50 minutes. Want to moisturize your skin without the heavy feeling of harsh ingredients? Try an organic solution. Perfecting Time Moisturizer with Argireline by DeVita is a feather light moisturizer for day, night or virtually any time! 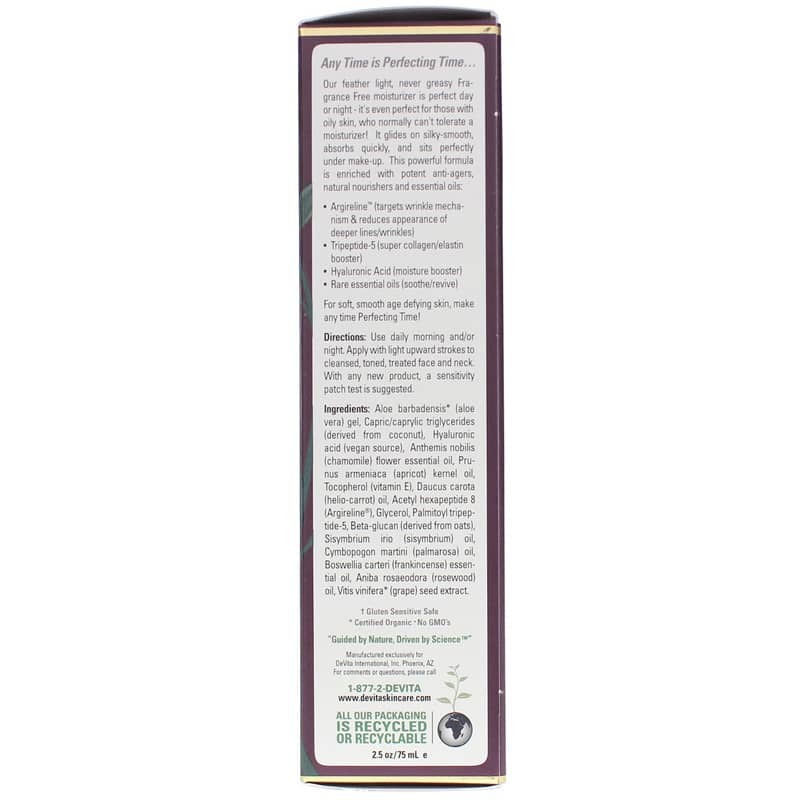 This all-natural formula is also designed to fight wrinkles and fine lines. 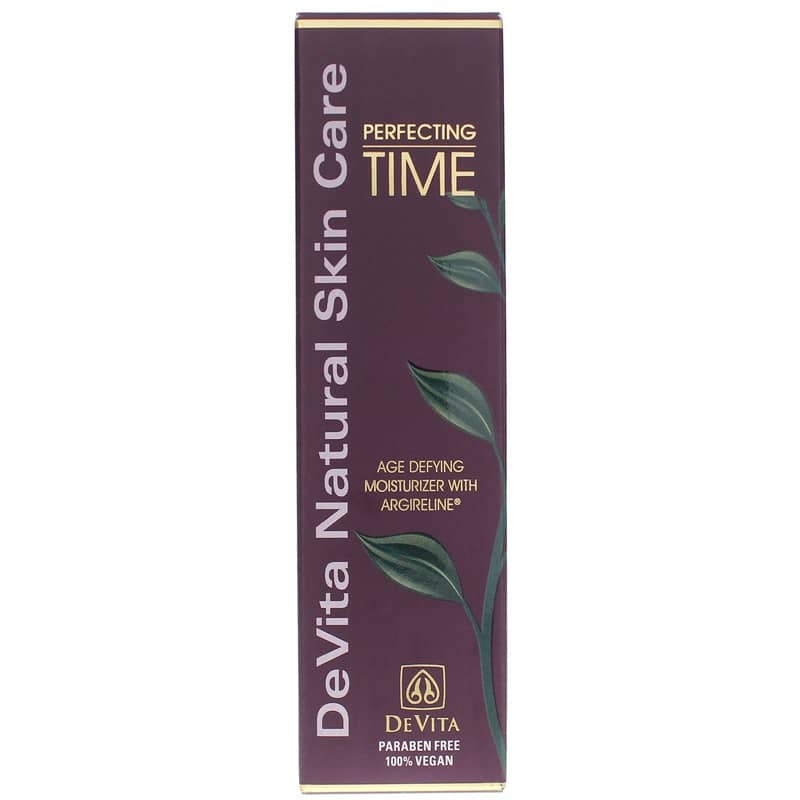 Devitas Perfecting Time Moisturizer is light enough to wear under your make-up, absorbs quickly, yet leaves your skin nourished and feeling so soft and smooth. Try it today! Apply with light upward strokes to cleansed, toned, treated face and neck. Great as a day or night moisturizer for those with oily prone skin or those simply looking for a light and sheer anytime moisturizer. Service was great, have enjoyed all the products!